Art museums exhibit art. They may be private or public, and they display art that they own or art that they borrow from elsewhere. No art is sold at museums. They often contain many famous artworks, especially in the major cities of the world. Public galleries are part of these museums. They are a good place for the artist to study the technique and style of different artists. Exhibits change from time to time to feature new artists. Museums preserve art from earlier eras. They provide proper lighting, humidity, and temperature so that the paintings do not deteriorate. Museums also provide security. Paintings by famous artists must be in securely-locked exhibition cases. Some of these museums require guards and alarms to protect the artwork. Our mission is to enrich the lives of the widest possible audience of visitors to the museum by engaging, informing and inspiring them through the activities of collecting, preserving, studying, exhibiting and interpreting important works of visual art. One of the largest museums in the western world devoted exclusively to Asian art and culture. The UC Berkeley Art Museum and Pacific Film Archive seek to inspire the imagination and ignite critical dialogue through art and film. The Birmingham Museum of Art houses more than 24,000 works from around the globe, offers free admission, a variety of exhibitions, and programs for all ages. Museum of the University of Texas at Austin boasting the largest collection of art in Central Texas. One of South Florida's finest cultural attractions, the Boca Raton Museum of Art presents changing exhibitions of national and international importance and a wide range of educational programs, lectures, gallery tours, and studio art classes. The Boise Art Museum is nationally recognized for leadership, innovation and excellence in the visual arts. An outstanding American art museum just north of Boston, MA, the Cape Ann Museum showcases the art and cultural history of maritime New England. Carnegie Museum of Art was founded by industrialist and philanthropist Andrew Carnegie in 1895. 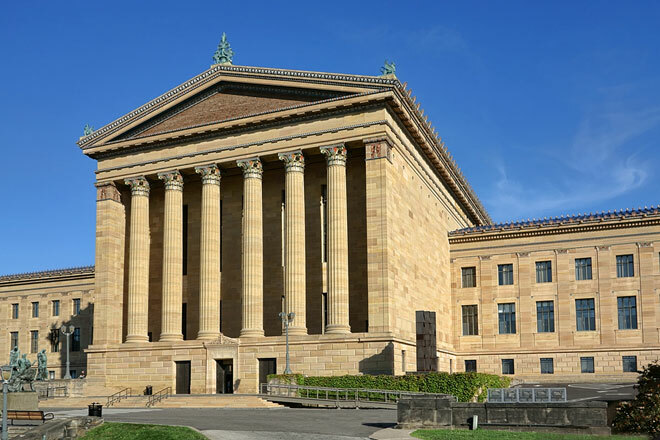 One of the four Carnegie Museums of Pittsburgh, it is nationally and internationally recognized for its distinguished collection of American and European works from the 16th century to the present. Art museum supporting the teaching and research work of the University of Wisconsin-Madison. Chrysler Museum of Art offers free general admission. Come visit. We're a kid-friendly art museum! Exhibits and educational programs focus on contemporary art, featuring local, national, and international artists from diverse backgrounds. As a leading arts institution in the Sacramento Valley, the Crocker serves as the primary regional resource for the study and appreciation of fine art, with an emphasis on the original Crocker family donation of California art and European drawings, contemporary northern California art and East Asian painting and international ceramics. Founded in 1912, the Delaware Art Museum holds a renowned collection that focuses on American art and illustration as well as the British Pre-Raphaelites. The Denver Art Museum is never the same. See something new every time you visit. The Deutsche Guggenheim, which celebrated its tenth anniversary in 2007, is a unique collaboration between the Guggenheim Foundation and Deutsche Bank, and is widely regarded by both locals and visitors from around the world as one of the most exciting and experimental art museums in Germany. Boasts an eclectic collection of permanent works and traveling exhibits. Celebrating Maine's role in American art. Fitchburg Art Museum is North Worcester County's oldest and most treasured cultural institution. Features a collection of 19th and 20th century American and European works. Interactive art experience. Google in partnership with 17 art museums. GRAM is often considered one of the most important cultural organizations of the region. Local museum with over 10,000 square feet of gallery and exhibition space. The Fogg Art Museum, the Busch-Reisinger Museum, and the Arthur M. Sackler Museum. From a stately home on Peachtree Street to its current award-winning buildings in a spectacular setting, the High Museum of Art in Atlanta has grown to become a leading art museum in the Southeastern United States with its renowned collection of classic and contemporary art and renowned architecture by Richard Meier and Renzo Piano. The Hood Museum of Art at Dartmouth College is one of the oldest and largest college museums in the country, with collections dating back to 1772. North Alabama's leading visual arts center. The Indianapolis Museum of Art is an art museum with art galleries and gardens. The IMA provides classes, films & lectures for public access. The James A. Michener Art Museum is an independent, non-profit institution dedicated to preserving, interpreting, and exhibiting the art and cultural heritage of the Bucks County, Pennsylvania region. In addition to hosting a changing schedule of exhibitions from around the country, the Museum is home to a world class collection of Pennsylvania Impressionist paintings. The Kimbell Art Museum features a small but important collection of art in a modern-era building renowned for its architectural achievements. Krannert Art Museum and Kinkead Pavilion is the located at the College of Fine and Applied Arts at University of Illinois at Urbana-Champaign. Laguna Art Museum of California art. Located in a charming historic district, the Lauren Rogers Museum offers collections of European, American, Native American, and Japanese art and artifacts, as well as an impressive art history library. 4A museum of international stature as well as a vital part of Southern California, LACMA shares its vast collections through exhibitions, public programs, and research facilities that attract nearly a million visitors annually. The Miami Art Museum (MAM) is an art museum located in Downtown Miami, Florida, in the United States. It was founded in 1996 as the successor to the Center for the Fine Arts. The MAM dedicates itself to contemporary art. The Modern is dedicated to modern and contemporary art, including over 3,000 works on permanent exhibit from famous artists such as Pablo Picasso, Jackson Pollock, and Andy Warhol.